It can have it’s challenges too, which many expats relocating with little or no training and preparation are quick to discover when the inevitable ‘culture shock’ sets in. The culture shock phenomenon is not new. In fact, it was first outlined as far back as the 1950s, by Kalvero Oberg during studies of American expatriates moving abroad. Oberg essentially observed a number of physical reactions amongst the expatriates during the early phases of the assignment period, such as sleeplessness, depression, confusion, anxiety and even inappropriate behaviours. These reactions make up the experience of ‘culture shock’. Although the very early stages of relocation are associated with excitement and a sense of all things new, it’s generally accepted that these feelings often then give way to a sense of ‘shock’ which is triggered by the changes between home and host location. These changes may be caused by differences in diet, language, climate, the logistical differences associated with getting around or the loss of home culture in simple day to day activities such as shopping and entertainment. These changes also extend to the normalisation of behaviours in the host culture which may have been considered taboo or negative at home. Take for example, belching when eating, spitting outside, the riding of motorbikes on pavements or gender segregation. Changes, such as those mentioned above, are then doubly confounded against a backdrop of the physical loss of one’s support structure by way of friends, relatives and previous home colleagues. The relocating expatriate may also feel a loss of control and predictability. In their home country, for example, they know how things are done culturally and they can generally predict and control outcomes. In the early stages of a being in a new culture however, these feelings may well give way to an adverse sense of lack of control and a feeling of unpredictability. The individuals might also find that they stand out amongst the locals and that new colleagues or neighbours don’t welcome them with open arms. With this background in mind, not only are the severity of potential symptoms unsurprising but neither are the levels of international assignment failure. Assignment failure was reported as 70% as far back as the 1990s, (Webb and Wright, 1996). In the same year, Shannonhouse assessed assignment loss in the region of 1 million USD per failed assignment. These figures have generally remained constant until the present day. Unfortunately, however, the fall out of assignment failure isn’t just financial. It has a significant emotional impact on the relocating expatriate and their family, with individuals feeling a sense of failure, the tarnishing of their professional reputation or even the loss of a role upon return to their home location. So, how should those looking to relocate ensure they give themselves the best chance of success without culture shock cutting things short? Relocation training, with culture shock forming a key part of the programme, is essential for any expatriate and their family. Understanding culture shock and the phases of cultural acceptance and assimilation go a long way to helping expatriates feel more in control. Understanding that certain emotions and responses are completely normal and gaining the strategies needed to manage the impacts of culture shock certainly give light at the end of the tunnel and help to maintain a sense of perspective. Culture shock can be reduced greatly with a strong understanding of the new local culture. Understanding why people do what they do, or don’t do certain things can really help an expatriate manage the cultural differences playing out. It can help them feel an element of control when mixing with locals and give the an awareness of where they might need to adapt their behaviours to assimilate more effectively. Expatriates can benefit greatly from finding a mentor from amongst people who have previously relocated to the intended host country. Discussing likely challenges and cultural differences either prior to departure or during the early stages of the assignment will be invaluable in helping to fully prepare the expatriate. Once in place, the mentor will play a key role in helping the expatriate to understand any areas of confusion as they arise or navigating potential logistical challenges. A simple but incredibly helpful preparation is also for expatriates to ensure they pack a number items such as photographs or other items of sentimental value to help retain a feeling of connectivity with those remaining at home. The simple act of placing them on view in the new home will create a feeling of connectedness. Mitigating home sickness and a sense of loss can be greatly achieved by scheduling a regular time to Skype or Facetime loved ones. Life is busy for most people, so agreeing a regular time to call is important. Learning a language is a great way of building a connection with members of the local community or work place. Expats with the ability to speak the local language have a far easier time when on assignment. They are far more confident when getting about, fact finding and building a network, which all helps greatly to reduce the fear and apprehension often experienced by people with no understanding of the language. Even small phrases go a long way in helping to build confidence, so expatriates should take the time to learn as much of the language as possible before departure. 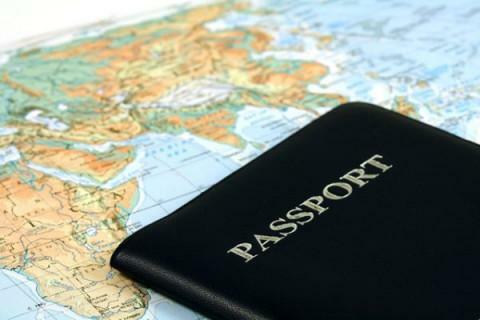 A great way of preparation for expatriates prior to relocation is to start keeping up to date with events and news taking place in the new host country as this will ensure a good foundation of understanding upon arrival. Coupled with other research, such as expatriate forums and English-speaking local news sites, expatriates are less likely to find the host location as confusing or frustrating. For those not living in a compound then building a network of local relationships goes a tremendous way in helping expatriates to integrate and to feel included and supported. It also helps build confidence and language skills. Expatriates should also keep an awareness of culture shock in mind. If symptoms associated with cultural shock arise, such as feelings of stress or anxiety, then they should know to immediately discuss them with a significant other or their mentor. It will take time to adapt. It’s essential that expatriates appreciate the need to give themselves time in adapting to their new home and that they avoid rushing things or setting unrealistic expectations. They should also be confident in both making mistakes and using them as learning opportunities. Anticipating the emotional roller-coaster that most expatriates experience during relocation assignments and ensuring there is time and space to adapt to the changes, undoubtedly leads to expatriates ‘coming out the other side’ and enjoying the excitement and opportunities inherent in their assignment. After a period of time, the new culture becomes far less daunting or confusing and individuals start to embrace things with renewed energy and engagement.